Marina Matsés elder, farmer and crafts maker. 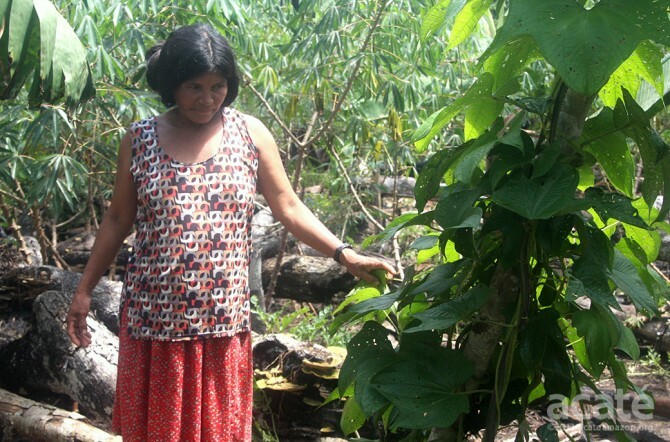 Marina lives in the Matsés village of Estirón with her husband Lucho, four of her seven children and four of her grandchildren. She is an incredibly industrious person, tending up to three farms at any time. In addition to being a master farmer, Marina also enjoys weaving and craft making. A master weaver, she weaves carrying straps for her family as well as makes her own hammocks, strainers for banana drinks, baskets and fishing nets. She is expert at weaving the kinship bracelets, known as tasiuinec, that are specific to the Matsés tribe. These woven ornaments are tied on the wrist or ankle. A sister puts on her little brothers ankle ornament by slipping the knotted ends through little loops. As she grows, a girl will weave for her brother, her husband and then for her children, just as the boy will grow to ask for ornaments from his mother, his sister, and eventually his wife. Marina preparing a banana drink for her family. 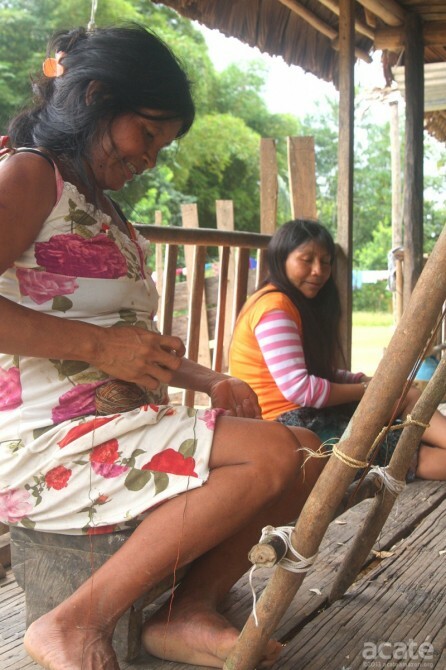 Marina uses a traditional Matsés loom to weave while chatting with a family member. Her favorite food is the Greater Long-Nosed Armadillo (Dasypus kappleri) meat and she often accompanies her husband on hunting trips to help corner the animals. Marina is still fond of fishing despite the painful memory of being shocked by an electric eel as a young woman. 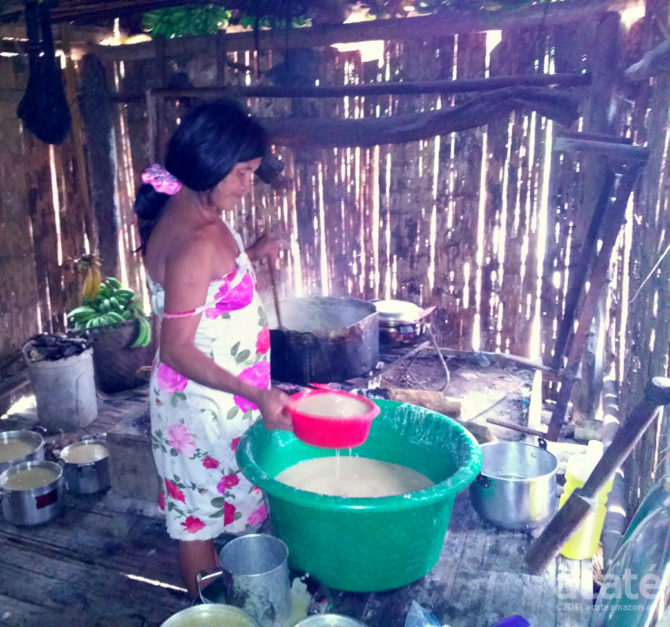 In the afternoons, Marina can usually be found in her home preparing pots of food and strained banana drink big enough to feed her entire family. In the evenings she sings traditional lullabies to her children and grandchildren and spends time relaxing with her husband. 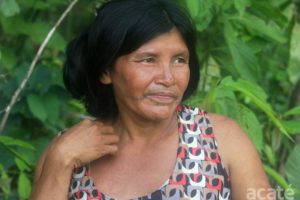 Like other Matsés, her mother was captured from the Mawi faction of the Kulina tribe on the Curuçá River by her father Bai during a raid in the late 1960s. 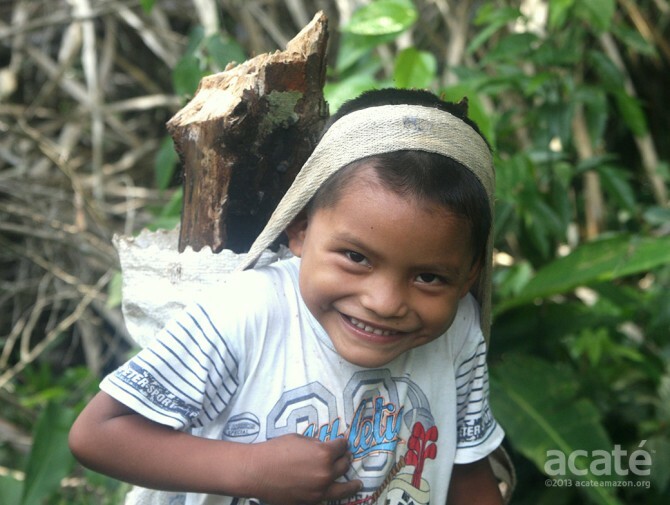 One of Marina and Lucho’s sons helping to haul firewood. Marina examines a sachapapa vine. Traditional knowledge of how to grow foods successfully in the tropics is being lost with every day.